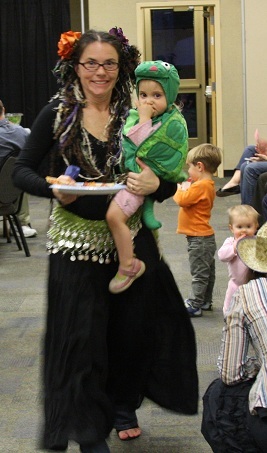 Purim Celebration at the Temple! Nosh & Hamantaschen. Bring a dish (or three!) to share during the congregational Purim celebration. Please remember that we are a nut-free building. Hamantaschen will be provided, but the rest is up to you! Mini Carnival. Stop by the social hall and enjoy games, arts & crafts and more! Purim Service and Shpiel. Warm up your gragger! After our service, clergy and staff will be performing a shpiel based on everyone's favorite nanny--Mary Poppins. Prepare for Purim musically! Sing some favorite Purim songs and watch musical videos using these online resources developed by Cantor Abby Gostein. Purim is celebrated with a public reading-usually in the synagogue-of the Book of Esther (Megillah Esther), which tells the story of the holiday. Under the rule of King Ahashverosh, Haman, the king's prime minister, plots to exterminate all of the Jews of Persia. His plan is foiled by Queen Esther and her cousin Mordechai, who ultimately save the Jews of Persia from destruction. The reading of the megillah typically is a rowdy affair, punctuated by booing and noise-making when Haman's name is read aloud. 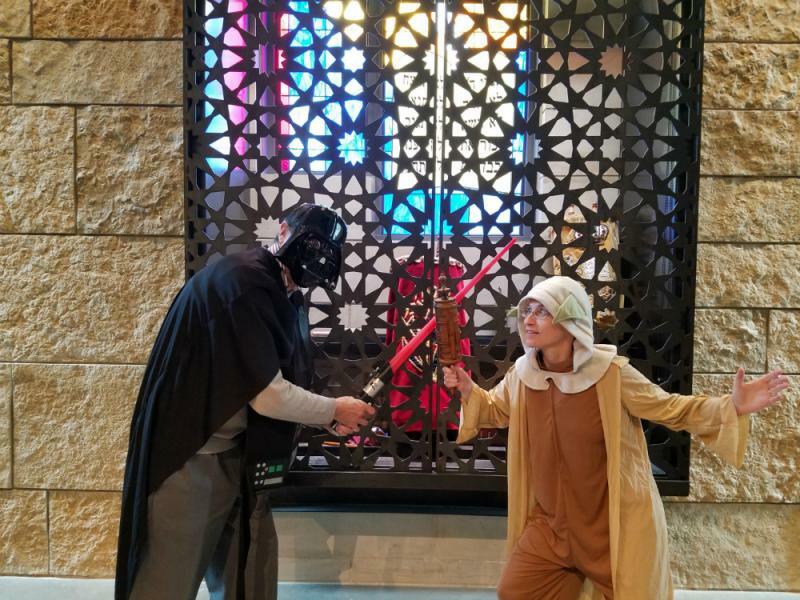 Darth Vadar (Rabbi Freedman) and Yoda (Cantor Gostein) at our 2018 Purim Celebration.